Here at pie club, we love the holiday season. Holiday lattes at Starbucks? We buy two at a time. Strands of Christmas lights? The only lights we use in December. Christmas cookies? At least one a day, and we even put them in our pie. 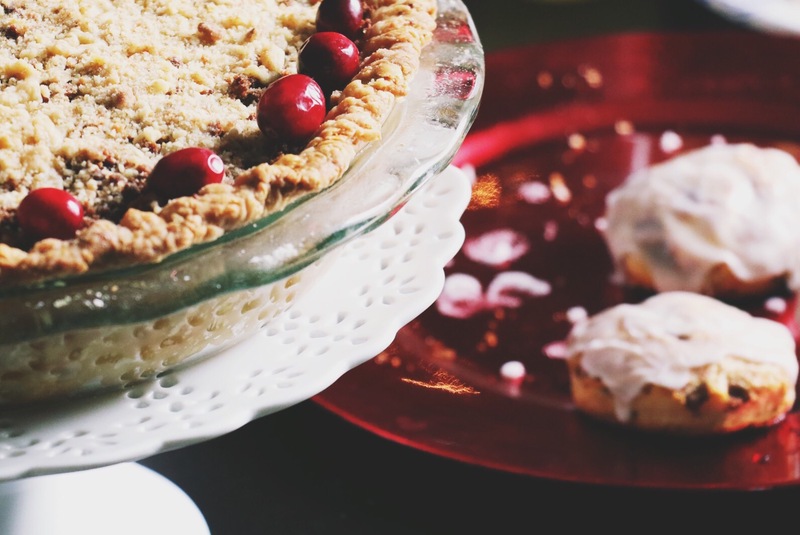 Cue this month’s Cranberry Apple Gingersnap Streusel Pie. One thing we love as much as Christmas is brunch. Between the cinnamon rolls, tater tot breakfast casserole, and mimosas—there was no room for complaints. Although it was a wintry 65 degree day in Brooklyn, we embraced the season and spread holiday cheer one slice of pie at a time. As we continue our countdown to Christmas, we’re going to pass the time by putting our leftover pie into a milkshake. TBD if it tastes as good as it sounds. But really, what could go wrong? Stay tuned for more pie in 2016. We’re still debating, but our New Year’s resolution will probably involve less pilates and more pie + lattes. What a great way to spend a December Sunday afternoon!